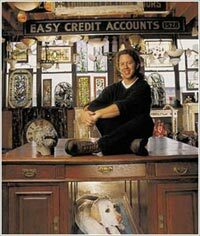 Architectural Artifacts, Inc. was founded in 1987 by Stuart Grannen. The focus has always been on pieces of intrigue, objects of a lost world, the aesthetic and the beautiful. Now, with the expansion of the showroom from 30,000 square feet to 80,000 square feet and the upcoming completion of our 15,000 square foot Museum of Historic Chicago Architecture, the chance of seeing something that you've never seen before is even greater. Antique mall with 29 sellers at present date, a few mall spots remain. Selling general merchandise and Antiques, lots of Jewelry both sterling and gold. In May of 1948, Superdawg Drive-In was established at the corner of Milwaukee, Devon and Nagle in Chicago. Superdawg continues to be family owned and operated in the same location today, along with a second location in Wheeling, IL. Superdawg serves our internationally known and special recipe Superdawgs, along with hand-cut Superfries, Superburgers, and Supershakes. Thanks for stopping!! 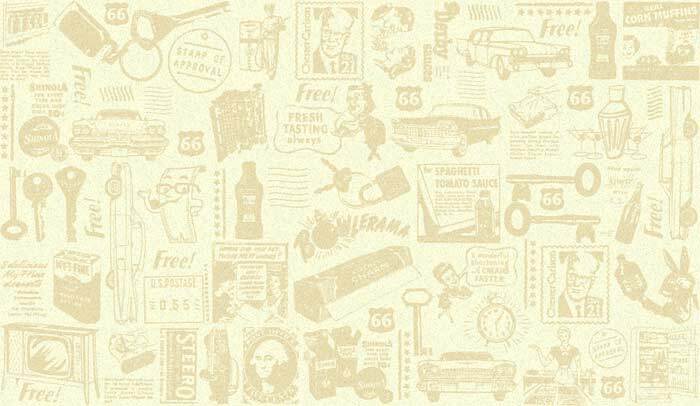 An online travel store with a significant selection of published materials about Route 66. 5854 S. La Grange Rd. Fine hand made American gifts and crafts. Glass, lamps, jewelry, pottery, art of the wall, clocks, antiques plus much more. Also we carry etchings by Louis Icart. Restaurant-in business Joliet for 55 years. Featuring Steak, Fresh Fish chops, and more. 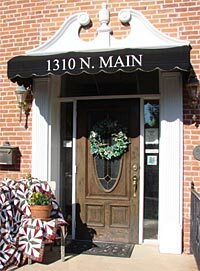 Come step into a historic building in downtown Gardner, IL and see our collection of country, primitives, folk art, shell art and much much more! New & vintage handmade jewelry too. Full Service Honda Powersports Dealer since 1981, Sales-Parts-Service. Vintage charm for modern times! 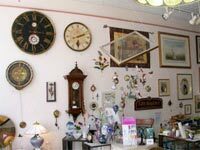 Our shop features vintage and antique furniture and accessories, gift items, artwork and Route 66 souvenirs. 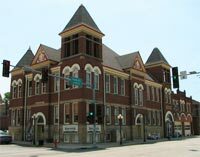 Located in Pontiac's historic old City Hall/Firehouse building with the Route 66 Museum and the Livingston County War Museum, we have something for everyone to enjoy. There is even an art exhibit in the old jail cells! See you soon! At Fusion Brew, we serve a variety of Milk Teas, Flavored Teas, Slushes and Snows. We also have a large selection of Chais (hot, iced, or blended), Loose-Leaf Tea, and Iced-Blended Coffee and a full Espresso menu. We have a great selection of pastries cinnamon rolls and brownies (including an amazing Black Cat espresso brownie) as well as bagels, cookies and muffins. For a quick lunch, we offer a hummus plate complete with pita, hummus, and veggies. We also offer a chicken salad plate with your choice of pita or a bagel, chicken salad, and veggies. 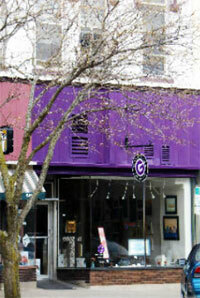 We are a local art gallery representing 45 area artists in a wide variety of media. Much of our work has a local, Route 66 flavor. Antique mall 50 vendors rebuilt after the tornado of 2009 destroyed the original mall that was in the same location for 9 years. Just reopened May 1st. 2012. Charlie Parker's Diner was established in 1991. The current owners, Mike and Cindy Murphy, are the fifth owners of the restaurant. Mike and Cindy purchased Charlie Parker's Diner January 1, 2009. Charlie Parker's Diner is a proud, locally owned, independent restaurant that has been in the same location since 1991. In October of 2007, Guy Fieri, visited Charlie Parker's Diner to film an episode for Diners Drive-Ins and Dives on the Food Network. The episode aired for the first time in March of 2008 and has been shown repeatedly over the years. Since that time, Charlie Parker's Diner has received many other national and local awards and citations. We were featured in the Chicago Tribune in 2009, WGN's Skydives, 2010, Wall Street Journal, 2010, Food Network Magazine, Best Breakfasts 2010, Popular Plates Quick Eats magazine, 2011 (Best of the U.S. Top 125 Road Stops). Where the Locals Eat, 2010 and 2011, and Talk of the Town (4.5 star rating Excellence in Customer Satisfaction, 2010 and 2011). Local awards include Illinois Times Best Breakfast Specials (2009), Best Place to Meet Friends for Breakfast (2009), Best Breakfast (2010, 2011), Best Restaurant Off the Beaten Path (2011), Best Hangover Food (2011). The State Journal Register Best Breakfast (2009, 2010, 2011). Customers are always curious about our building, a Quonset hut. Between 150,000 to 170,000 Quonset huts were manufactured during World War II. Quonset huts were meant to house people and protect materials at far-flung bases. The building needed to be inexpensive, lightweight, and portable so it could be shipped anywhere and put up quickly using hand tools. A crew of six experienced men could build a hut in a day. After the war, the U.S. military sold the surplus Quonset huts to the public for around $1000 each. We are not sure when the Quonset hut arrived at this location, but it has not always been a restaurant. It was home to Woodside Township Maintenance shed, trucking company, plumbing and heating business and even a bait shop for a short period. We think it's perfect as a restaurant and are happy to be here. Come by and see us anytime Monday-Saturday 6:00 a.m. to 2:00 p.m. or Sundays 7:00 a.m. to 2:00 p.m. Closed Thanksgiving Day and Christmas Day. Art Gallery: Painting, Photography, Jewelry, Prints, Glass, Sculpture, Ceramics, Notecards, Gifts. 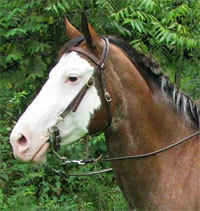 Trail Rides, Riding Lessons, Horse Camp, Canoe & kayak Rentals, Private Parties, Birthday Pony(delivered to your door) Field Trips, Horse Boarding Facility, and Extreme Haunted Hayrides In Riverside Park. An artist gallery that is home to approximately 40 artists who sell an eclectic variety of work, including jewelry, pottery, wood, glass, and fiber art. 2953 W White Oaks Dr. The Widow travels the globe in search of unique, unusual and distinctive treasures. From the famous French antique markets in Paris - to seldom found antique warehouses in Belgium... to private estates in hidden corners of Europe... and even remote provinces of China... the Widow's relentless pursuit of antiques knows no boundaries. Thousands of marvels abound. Elegant furniture, art work, vintage jewelry, stained & leaded glass, sterling, chandeliers, urns, iron gates, antique time pieces, old books, and one-of-a-kind surprises await your visit. The Widow's unique and eclectic inventory of antiques, architecturals and accents is showcased in a charming 1920's Mediterranean Revival building, located at the corner of Fifth and Cook in Springfield. One of several artists represented at the Blue Door Gallery, Zanne Avenue Jewelry specializes in innovative repurposing, giving new life to antiques and more common objects like maps and necklaces made from eyeglasses. Check out her GENUINE BACON jewelry! Gifts for everyone and unique treasures for the collector. Magnolias is a neat place to relax and have a great meal, breakfast, lunch and dinner. We are located in a historic building with loads of character. We are a full Service Hotel, Restaurant, Lounge, Banquet Rooms, Indoor Pool, Fitness Center, Business Center. A country setting on 10 acres. Quirky 66 tourist attraction, selling everything from signs, t-shirts, key chains, maps, guides, Route 66 sodas, pens, magnets, and the list hops on. Good old-fashioned homestyle cafe. Quaint and casual, with extremely LOW prices! Retail store selling; Paintball Equipment, Airsoft Equipment, Skateboards, R/C Equipment. 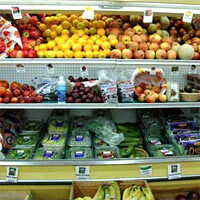 We are a full health food and supplement store. We carry the highest quality vitamins and supplements available as well as a wide variety of popular and unique health food products including organic produce. We also carry many wonderful lines of health and beauty products! Come visit us! We are a locally owned family business that has been in Edwardsville for over 30 years! Beautiful designer fabrics, books, patterns, notions, classes and supplies for sewing and quilting for the beginner to advanced sewer. Natural handcrafted soaps and skin care. Recycled, upcycled vintage birdfeeders, garden art and holiday items. Available at Studio on 6th, downtown Springfield, and by appointment only. I am the creator of an educational and entertaining, weekly comic strip feature series: "Route 66 & Beyond." The strip is 'accurate' in it's rendering and information and covers the entire US Route 66 as well as Germany's 5 Route 66's, Canada's 1, and many more. The weekly comic strip, "Route 66 & Beyond" would go well with any newspaper, website,advertising, or promotion. Specializing in Route 66 Harley-Davidson motorcycle rentals. Featuring all new 2015 motorcycles, available for local and long term rentals. One-way drop off on the West Coast available. Personal service, knowledgeable staff and the lowest rental rates on the Mother Road!